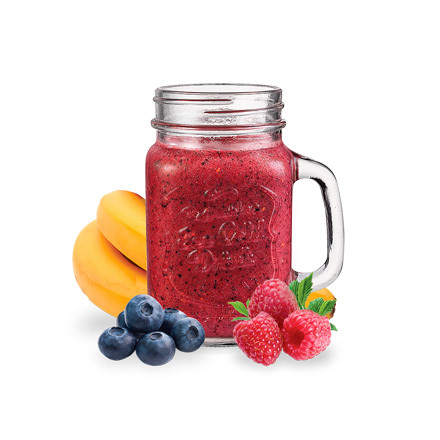 So many smoothies to choose from . . . .
We have over 50 fantastic smoothies to choose from – each one made to one of the secret recipes of Smoothie Solutions. We have smoothies made with fruit, with vegetables, with yoghurt and with our Nutri pellet Protein Pearls. We are smoothie specialists and also produce many private label recipes in addition to our 35 in-house recipes. As leaders in our field we are constantly bringing new recipes to the market. We know how important it is to match the product with consumer demand. We have various In-House premium smoothie brands plus we manufacture many own label products for our family of Smoothie Operators. Each and every one of our Smoothies has been carefully made with the finest ingredients and the taste is simply amazing. We’ve also made it easy to incorporate our smoothies into any type of food or drink retail operation. We provide colourful, world class smoothie menus, posters and signs – Totally free! If you would like to know more about our amazing smoothies please contact us.